Like almost every other online service out there, it’s possible to give someone the gift of Amazon Prime for three months or a year. Gifting Amazon is a simple process that works just like any other purchase on the online shopping site. Go to the Give the Gift of Prime page on Amazon and you can select between three months for $33 or 12 months for $99. In addition to free two-day shipping, you would be gifting all the extra perks that come with a Prime membership Is Amazon Prime A Good Deal? Is Amazon Prime A Good Deal? Amazon Prime seems like a great deal, but is it? We dig into the benefits to figure out if they're worth the $99 per year. Read More , including free movies and shows on Prime Video, as well as Prime Music, a limited selection of free ebooks, unlimited photo storage, and more. The Prime membership will be added to your cart like any other purchase on Amazon. When you proceed to checkout, you will be prompted to enter their email address, the date you wish them to be notified by email, and will also be able to add a short personal message if you choose. Once your gift options are saved, you can proceed to select your payment method and place the order. Why Give the Gift of Amazon Prime? Amazon Prime is a particularly nice gift to give right before the holidays. With lots of Christmas shopping going on in the weeks leading up to December 25, it’s a great way to help out a friend or relative with their own gift giving. 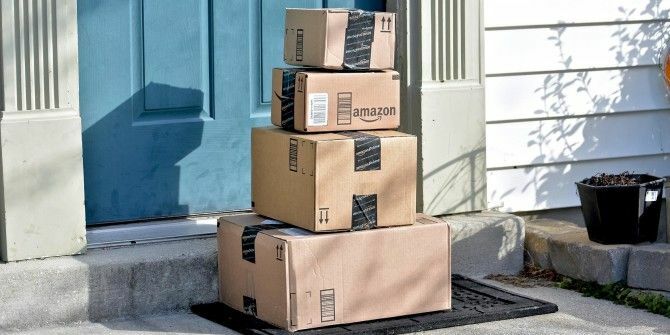 Aside from the holidays, Amazon Prime is the kind of service that can come in handy at any time thanks to a wide variety of benefits 10 Awesome Amazon Prime Benefits You May Have Overlooked 10 Awesome Amazon Prime Benefits You May Have Overlooked Free two-day shipping is just the beginning. Here are some notable Amazon Prime subscription benefits you may not know about. Read More . Amazon Prime membership can be shared with the entire family, and it gets you free two-day shipping, free one-day shipping in some areas (and on qualifying orders), Prime Video with access to a lineup of originals. It also comes with Prime Music, which provides ad-free listening to mainstream music, but if your tastes are more niche you may have to stick with Spotify, Apple Music, or Google Play Amazon Prime vs. Netflix and Spotify Combined Amazon Prime vs. Netflix and Spotify Combined Streaming services are on the rise, so it's all about choosing wisely between them. In this article we ask, "Is Amazon Prime better than Netflix and Spotify combined?" Read More . If you happen to live in one of the cities where Amazon’s Prime Pantry is available, you can also get groceries delivered to your door for a flat fee of $5.99, or even for free with five qualifying items. Even without all those perks, which let’s face it, lots of Amazon Prime users simply ignore, the free two-day shipping is enough to entice anyone. Would you give Amazon Prime as a gift? Let us know why or why not in the comments. Explore more about: Amazon Prime, Gift Ideas. The value of Amazon Prime has been steadily decreasing. There are many items now listed as Prime but that also say they won't ship for a few days. So it gets to you via 2-day shipping, but I don't have it in my hand 2 days after ordering. Those items should not be listed as Prime. I'm not sure if I would gift or recommend it at this point.